This week has been CRAZY so far! A Moon Rise Over Los Angeles as a Time-Slice, Time-Lapse, Animated Gif fromn Peta Pixel. Photography of Dan Marker-Moore. Pretty cool! Photos Capture the Friendship Between A Little Girl and Her Cat from Peta Pixel. Adorable!!! 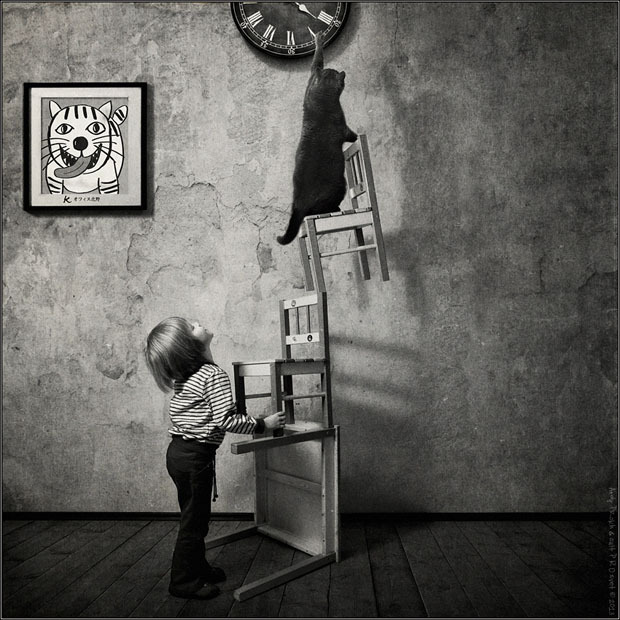 Photography by Andy Prokh. Vulture Buffet by Morkel Erasmus at Earthshots.org. Lovely stuff at his website too! Going to have to stop here for this week. See you next time.